A potato dish originating from Switzerland that is traditionally made with boiled potatoes that are grated and fried. This dish can be made with either cooked or raw potatoes, but if cooked are used, they must be cooled overnight so they become firm for grating. When the potatoes are ready, they are peeled and grated. Sautéed onions are then mixed into the grated potatoes, they are seasoned to taste, and formed into flattened cakes to be cooked in a skillet. 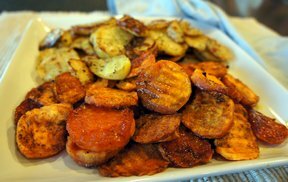 The key to making this type of potato is achieve a golden brown crust on the top and bottom while providing a light and fully cooked potato on the inside. 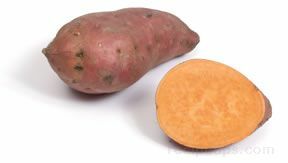 If the potato becomes too gummy on the inside, then the moisture was unable to be fully released from potato before and after it was fried. 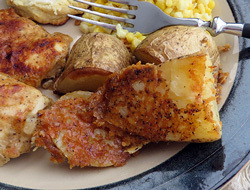 To make Roesti Potatoes, use Yukon potatoes, but Russets will also work, just not as well. Using raw potatoes, peel and shred the potatoes into uniform strips. 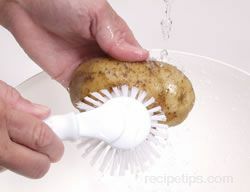 Place the shredded potatoes in a large bowl and rinse thoroughly with cold water. 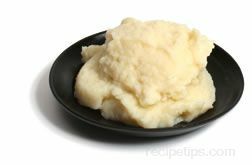 Remove excess moisture with the use of toweling, bundling the shredded potatoes in the towel and squeezing off the excess. Add seasonings to the shredded potatoes and place the shredded potatoes loosely into the skillet without pressing the potatoes together. Cook for 5 to 7 minutes covered and then remove the lid. 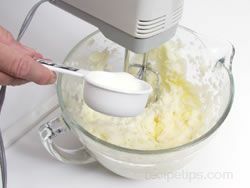 Compress the potatoes with a spatula to firm the potatoes into a shape that is round and somewhat consistent in depth. Cook an additional 5 to 6 minutes without covering the pan. When browned sufficiently, flip the Potato Roesti onto the other side for browning. 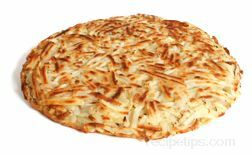 Roesti Potatoes can be form loosely by pouring the shredded potatoes in and filling the entire skillet to make one large potato cake. 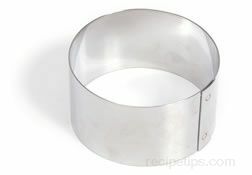 However, with the use of a Rosti Ring which is a tublar piece of stainless steel, individual servings can be formed so each serving retains its shape as it is placed in the skillet. 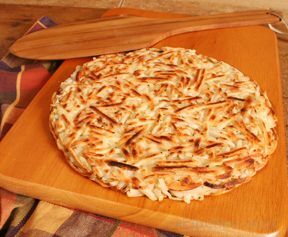 If the Potato Roesti is made into the traditional large round flat cake that covers the entire bottom of a skillet, it can then be cut into pie wedges for individual servings. Potato Roesti is very similar to a popular potato cake commonly known as hash brown potatoes.